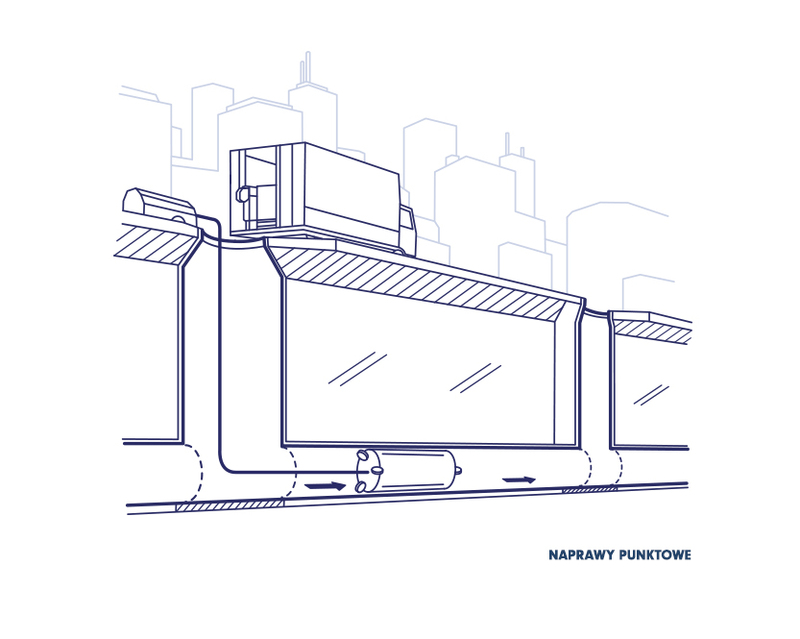 Spot repairs, the so-called “packers” involve the renewal of the underground infrastructure which is carried out using short sections of a sleeve to repair local defects such as cracks, ground water infiltrations, or sewage exfiltration into the ground. This technology is based on a multi-layered, glass mat impregnated with resin, chemically resistant and which possesses a high elasticity coefficient. The quick and easy fitting of “packers” (through a sewer manhole) minimises repair time and costs.